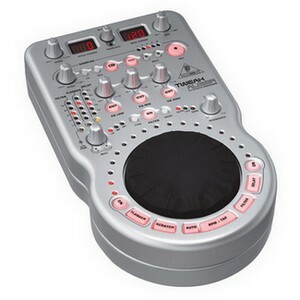 Don't be fooled by its cutesy looks: the TWEAKALIZER DFX69 is an extremely powerful desktop DJ effects processor with real-time control. Behind its super-intuitive user interface is the power to simultaneously control 6 functions, an incredible real-time scratch function and a super-fast and accurate auto-BPM counter. For example, you can adjust track speed using the virtually inaudible Pitch Transposer, and you also get a breathtaking LFO-controlled effects section including delay & flanger and awesome filter effects with 3 filter types (low, high and band pass), 3 filter modes (auto, manual, LFO) and separate resonance control. There is a groove- and BPM-related loop sampler with up to 16 seconds of memory as well as an ultra-steep 3-band kill EQ (-40 dB) with separate cut buttons per band. A switchable phono/line input with built-in high-precision phono preamplifier lets you connect turntables and CD players, and a signal/effect balance and input gain control provide top flexibility. Ultra high-resolution 24-bit A/D and D/A converters and a high-performance 24/48-bit DSP provide ultimate in sonic resolution. If you’re looking for a straightforward way to tweak your sound, we've got an amazing machine for you.